Dan has just launched his latest website, LawNewz.com! 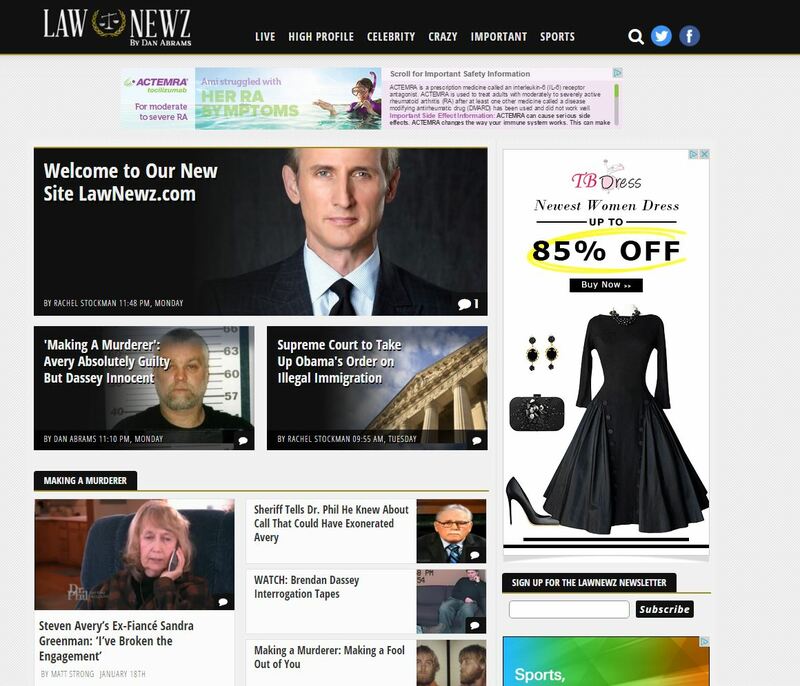 The site aims to be the only place on the internet to offer real-time legal analysis on the top stories of the day. Dan commented , “This is a site a longtime in the making after all my entire professional career has been focused on covering high-profile cases,”. The site will livestream big court cases, play-by-play updates on high-profile criminal trials and bring you the very latest on celebrities who find themselves in legal trouble. Explore the new site today!